Muddus national park that is part of UNESCO world heritage site Laponia, is considered one of the most silent places in Sweden. 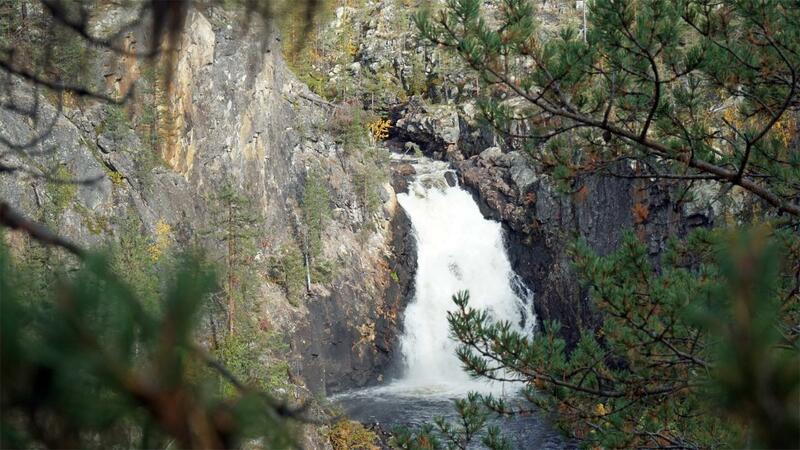 Deep ravins and spectacular waterfalls cuts through the ancient pine forests. Lichens hanging from the trees witness of pure and clean air but is also food for the reindeers that stays in the forest both winter and summer. Our weekend hike in Muddus takes us across great mires and along trails through the national park that is home to both bears, moose and great birds like ptarmigans and wood-grouse. The Sami people have worked in Muddus national park for thousands of years and is still today the great forests in Muddus is an important grassing area for the reindeers from several different Sami communities. Along the hike in Muddus we’ll find traces of human activity such as hunting pit system and old overgrown hearths. We stay in huts along the trail, cook food over open fire and eat berries directly from the bushes. …wants to get out of town for the weekend and would like to experience the ancient forest in Muddus national park. You should be able to hike 7-15 kilometers per day and carry a backpack of around 10 kg. Please contact us if you have any questions regarding your physical ability or experience level. Online bookings can only be made until 7 days before the tour starts. For last minute bookings please contact us for availability check.